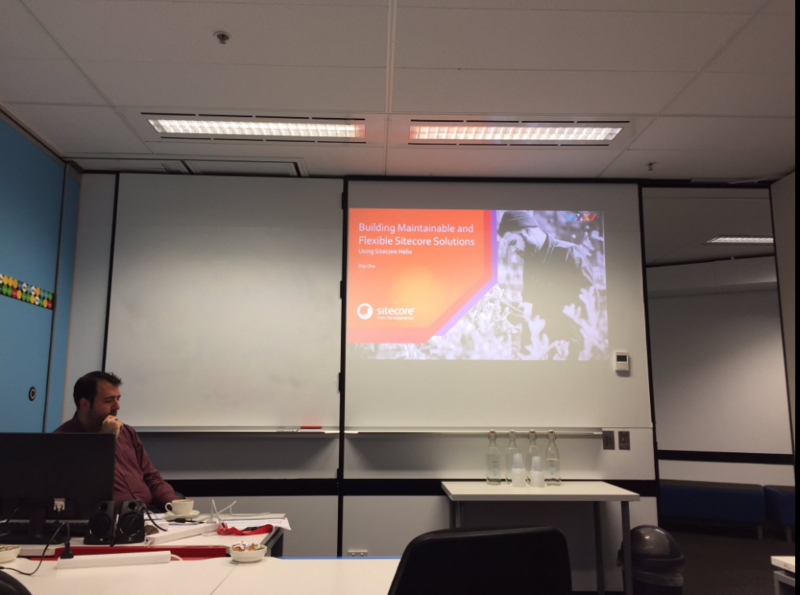 First of all, I would like to thank Gruden for sending me to the Sitecore Helix workshop. It’s a two days workshop, which delivers in-depth knowledge of the principles, conventions and guidelines governing solution architecture, recommended development practices, DevOps strategies and more. If you are also interested in this course, you can find more details here. James Hirka, Solutions Architect from Sitecore, is the presenter. I’m not going to cover all the course material here, but instead highlight some important concepts that are covered within the course. I would like to start by proving some background about what is Helix. Helix is a an official guideline, recommending a modular build for Sitecore solutions. Habitat is an example implementation of Sitecore, using the Helix principles. Habitat is a great starting point of learning Helix. You can find the Habitat solution on GitHub. Sitecore Helix was derived from the concept of components in a component-based architecture; this was originally described in the book “Agile Software Development by Robert C.Martin”. The word component refers to a module in Helix, this is really all the files, views, renderings, configuration etc. that make up a component (or module). The classes in a component are reused together. If you reuse on of the classes in a component, you reuse them all. The principles of component coupling is for defining the relationships between components. I hope I didn’t put you to sleep with this very technical topic, and the principles it covered, however if you would like to work through some excises and get familiar with the Helix principles, you can find some here.